The best thing about these apartments is the staff. So helpful... nothing was too much trouble! Very clean and quiet hotel. Helpful staff and large rooms. Close to bus station,5 min to the Playa del Veril, 2 min to Spar supermarket. Great location, friendly staff, free beach toys for kids. Nice touches from the hotel bottle of water & 2 biscuits left for us. We were also there for carnival & staff came & delivered some party items for us to wear. Really secure premises. Good location if travelling alone. Interesting amenities. There was an official Spanish postbox on the property by the reception office, which I thought was rather cool. Ana the receptionist was super kind and helpful. There was also a book case in the office with books you could read and trade with books of your own that you had finished. Staff were very friendly. Excellent location. A quiet and peaceful place to stay. 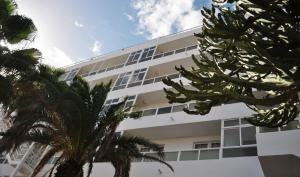 Lock in a great price for Apartamentos Calma – rated 8.8 by recent guests! Apartamentos Calma This rating is a reflection of how the property compares to the industry standard when it comes to price, facilities and services available. It's based on a self-evaluation by the property. Use this rating to help choose your stay! Apartamentos Calma is 650 feet from the beach in Gran Canaria’s Playa del Inglés. 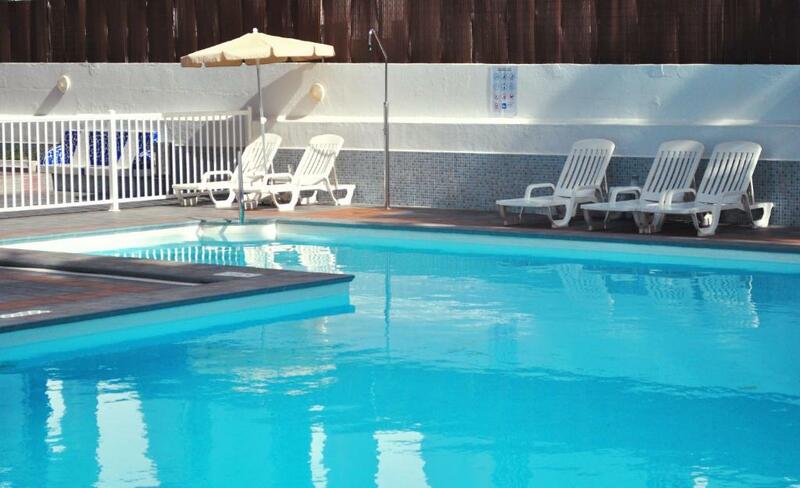 The complex offers an outdoor pool and free Wi-Fi zone. Some apartments have a balcony with ocean or garden views. 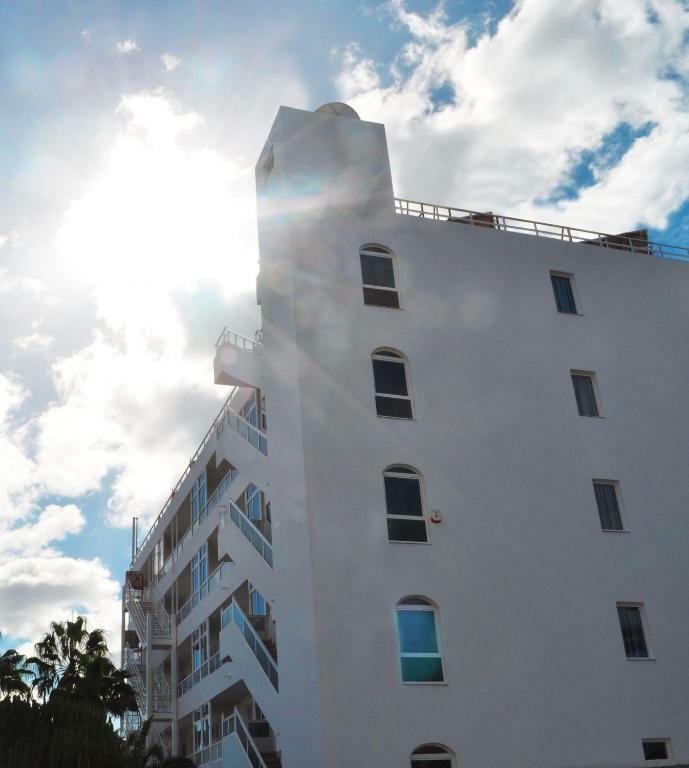 Each air-conditioned apartment features a living room with a sofa bed, satellite TV and a private bathroom with a shower. The kitchenette includes a fridge, toaster and coffee maker and a safe is available at an extra cost. There are shops and restaurants within a short walk of the apartments. The lively Yumbo Center is a 20-minute walk from Apartamentos Calma. Gran Canaria Airport is a 25-minute drive away. 뀐 Located in the top-rated area in Playa del Ingles, this property has an excellent location score of 9.0! When would you like to stay at Apartamentos Calma? This air-conditioned apartment features a balcony. There is a twin bedroom, and a living room with a sofa and TV. There is a rental safe and a private bathroom with a shower. The kitchenette includes a microwave, hob, toaster and coffee maker. This twin room has a microwave, partial sea view and dining area. House Rules Apartamentos Calma takes special requests – add in the next step! Apartamentos Calma accepts these cards and reserves the right to temporarily hold an amount prior to arrival. Please inform Apartamentos Calma of your expected arrival time in advance. You can use the Special Requests box when booking, or contact the property directly using the contact details in your confirmation. A very minor thing, but the two single beds were placed with the head just below the windows. This meant that even with the curtains closed, when it was daytime the light outside was directed downwards onto your face through the curtain folds, which woke me several mornings until I remade the bed so that I slept bottom to top. The appartments are dated. Our balcony (room 205) didn't have a view or the sun. The pool looked lovely, but was absolutely freezing & could have done with a clean. Shame it wasn't heated. They had a no glass policy around the pool, but didn't provide any plastic beakers. The beds are very hard & uncomfortable, and don't expect a lie in, the cleaners are wheeling their trolleys around from 8.30. The shower curtain is a big NO NO, update with a screen. The towels are very small (60 x 120cm) & we received several with holes in..not acceptable. Parking is a cost to bear in mind, 3€ a day soon adds up. No pool table to be seen, yet advertised. No English news channel. The appartments are very spacious and clean. 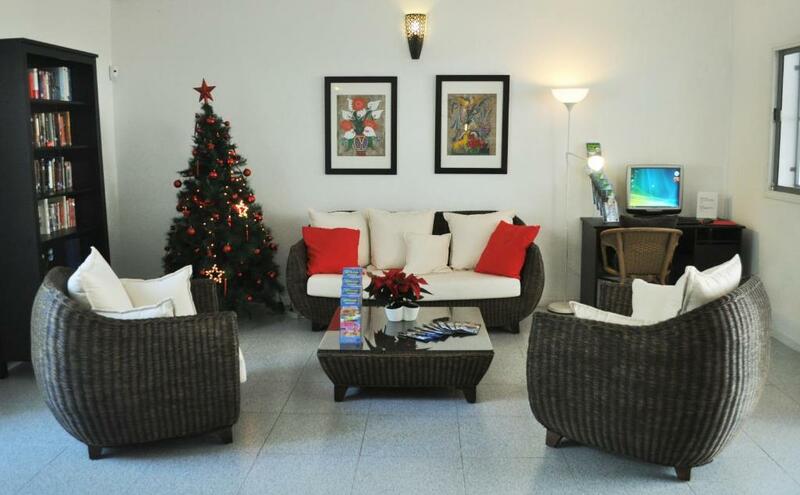 The location is perfect, close to the supermarket, bars/restaurant and a short 5 walk to the beach. The shower is excellent, powerful & constant hot water. Free wi-fi around the pool & reception area. I can honestly say that there were no disappointing features in the property. Very happy with my choice! Lovely receptionist and the cleaning staff, both very professional and helpful, excellent communication with the property prior to and upon arrival. Quick, smooth check-in. Special thanks to Carolina for everything! Felt very safe as well. Will go back next year or this Xmas. Loved the area, lots of shops, restaurants and a bus stop outside the apartments.